There's a new website in town that offers great deals at amazingly huge discounts -- it's called WinilaCity. 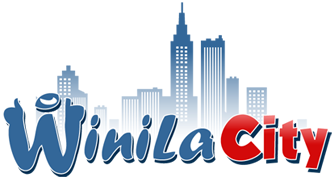 Launched in March 2011, WinilaCity is a complementary website to Winila, which offers online auctions for the latest gadgets, games, and lifestyle products. WinilaCity is a group-buying website. You need to sign up to WinilaCity.com by either entering your details or connecting your Facebook profile. Once signed up, come back to the site from time to time or wait for newsletters on your e-mail to know about the latest deals. Deals on bars, restaurants, spa, stores, etc. will have a timer that tells you when the offer expires. If the minimum number of people participates, the deal is on and the voucher will be sent to your email address the next day. However, if not enough people join, no one gets the deal and your payment will not be charged. What's more, if you invite your friends and three of them purchase the same deal as you did, yours is free! Plus, refer your friends and get Php200.00 worth of credits on their first purchase within 72 hours from the time they click on the referral link you sent them. How do we pay for deals on WinilaCity? Sign up today and get a chance to win a brand spanking MacBook Pro! More details at their Facebook page. WinilaCity is partnering with GLICH'S LIFE in promoting their new website. We're giving away Php1,000 worth of Pancake House gift certificate to one lucky participant! Each person can send in a maximum of 7 entries by doing the 4 options above. Contest is open to Philippine residents only, and runs from April 4, 2011 - April 18, 2011. Winner will be drawn via Random.org and notified via e-mail after verification of entry on April 19, 2011. Prize will be delivered to shipping address after verification and notification. All the best for Winila and the Philippines! Hello! I'm done doing all the 4 options. I hope I'll win. followed you on twitter and tweet the "Hi folks! @GlennOng is giving away Pancake House gift certificates! Visit http://bit.ly/fcjBDu to join. #glichslife"
Blog entry to follow. Thanks! I'm also doing all the 4 options. Hope to win! • Full Name - Danilo Guiang Sr.
Sir Glenn, I am joining. 1. Pls count me in. I joined WinilaCity already. forgot to include this on my comment!! !